Connect to Viber for Business and reach out to your customers. Add Viber for Business to your multi channel support and marketing strategy. The low-cost way to connect with your customers. Viber is growing in popularity and offers besides transactional messaging also the possibility to send marketing messages. Keep your conversations going no matter where your customers are. Viber is being used in over 190 countries. Reach your audience wherever they are. Over 1 billion people use Viber globally. Viber handles 7 million interactions every minute. We guarantee the delivery of your message. If there is no internet connection available, an SMS fallback is initiated. Using Viber for Business through the CM.com Platform guarantees that you not only benefit from the advantages of Viber, but also those of CM.com. Our platform offers you several other tools and products that you can freely use to ensure that you reach your customers in the way you, and your customers, want. As Viber grows in popularity, this is where your customers will be. Be where your customers are. How will Viber benefit your business? Customers want communication with brands to be instant, via the channels they most prefer. Having a messaging app like Viber for Business provides your customers with the rich, instant and interactive experience that they are looking for. All possible with our business messaging API. WhatsApp has finally opened the doors for business usage. How can I use it to the advantage of my business? What does it take for me to get on board? After reading this article, you will have no further questions and be able to start using WhatsApp Business right away! The moment that many companies have been waiting for has arrived. WhatsApp has opened an API so companies can now chat with consumers via WhatsApp worldwide. But what exactly can you do as a company with WhatsApp? And what do you have to take into account? 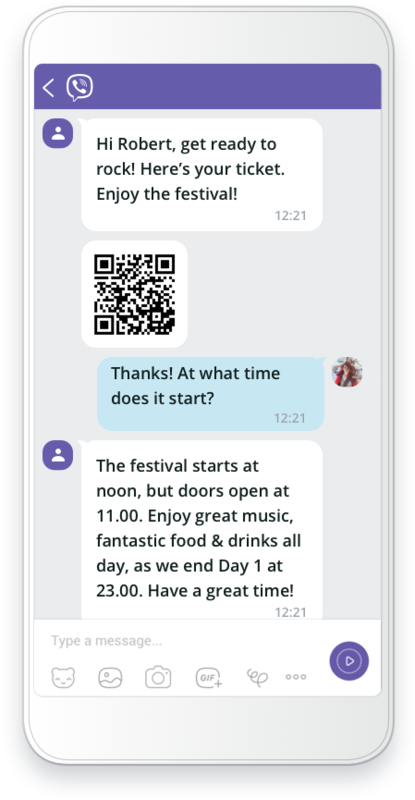 CM has joined Google’s Early Access Program for RCS Business Messaging, an initiative which enables businesses to send richer, more useful messages to their customers.